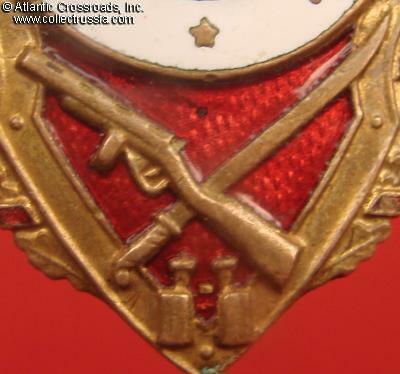 Excellent Reconnaissance Scout badge, circa mid-1950s. 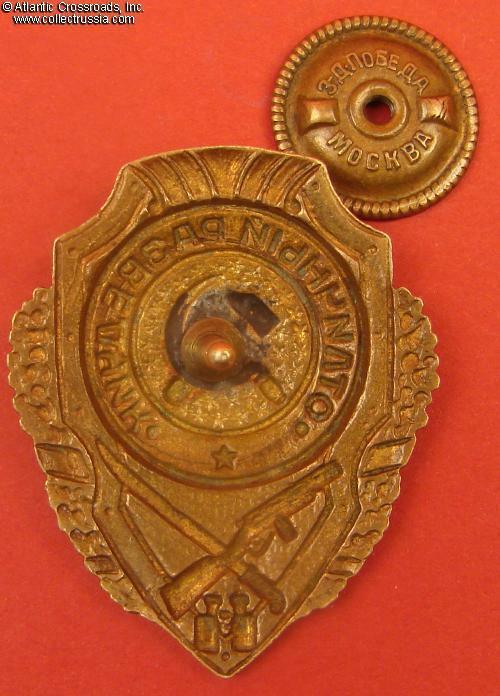 Brass, enamels; 45.4 x 36.7 mm. 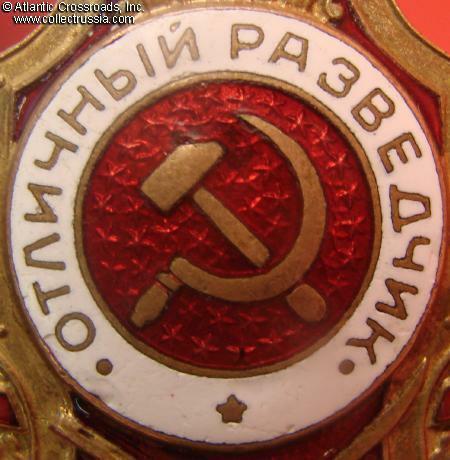 One of the post-war versions of the badge manufactured by the Pobeda Factory in Moscow. In very fine condition. The enamel in the center medallion and white band shows minor surface flaking and light scratches, practically unnoticeable to the naked eye. The enamel still shows very nice luster. 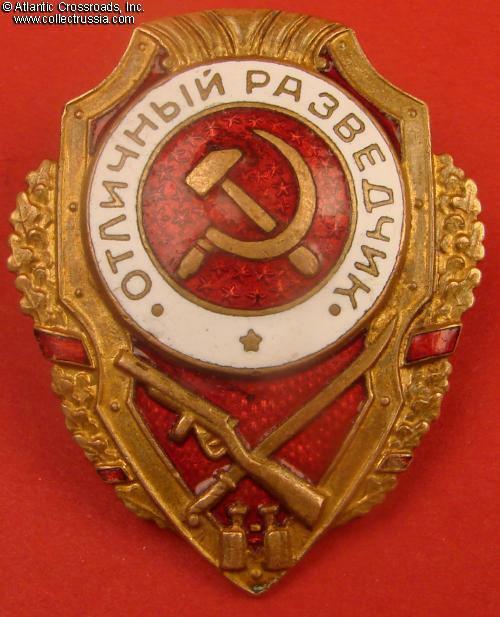 The small red scrolls on the lower right side of the badge is missing enamel; the other three scrolls are intact. Details of the machine-gun, saber, binoculars and wreath are extremely well preserved. Some of the original fire gilt is visible in the recessed areas of the shield and wreath. 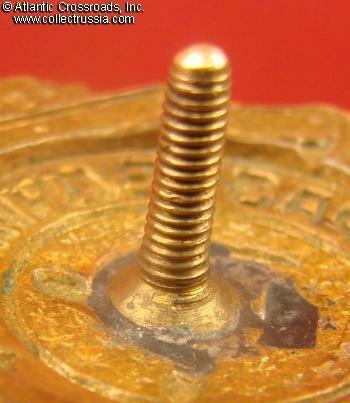 The screw post is full length, over 10 mm. Includes original screw plate with Pobeda Factory logo. 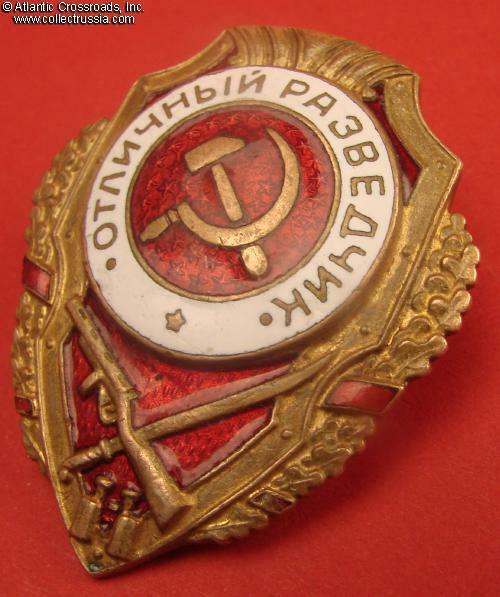 /See "Breast Badges of the Red Army, 1941-1945", p. 108, fig. 5/.